The works of Sierra Social Services Inc. of Alameda and Contra Costa County, California, could not be possible without your charitable contributions. 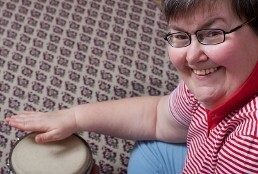 Your generous support continues to help develop the skills of people with developmental disabilities all over the area. Our associates are looking for kind donations of money and vehicles to help promote the developmentally disabled. These tax-deductible gifts enable disabled individuals to be a part of the population, because sadly, they are normally neglected. We also help find them homes, food, and clothing so no one has to resort to sleeping on the street. Sierra Social Services Inc. accepts donations by credit card, checks, and money orders. Contact us to make a positive impact on society through your charitable contributions.